Waterschap Regge en Dinkel, a Water Board in the East of Holland, has realized an innovative Hybrid MBR for treating municipal wastewater at the WWTP Ootmarsum. 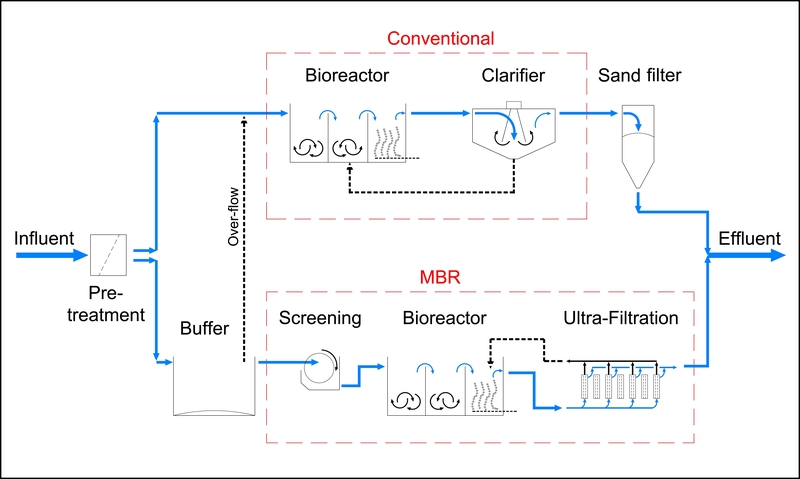 The hybrid systems combines conventional biological treatment, followed by sandfiltration with membrane bioreactor treatment as shown below in the schematic overview. 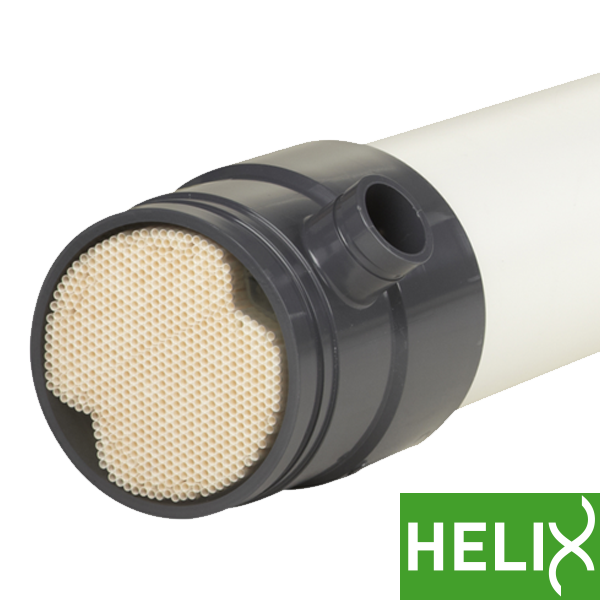 The Airlift™ membrane unit is delivered by Pentair. The MBR was successfully commissioned in October 2007 and the actual performance of the bioreactor and the UF installation are both above expectation. Airlift™ MBR is a compactbuilt purification system combining the biological degradation (biological N and P removal) step with UF separation placed outside the bioreactor. In the UF membranes, activated sludge is circulated over the modules combined by continuous aeration controlling the cake formation, while permeate is extracted at the permeate side. The Airlift™ system is a cost-effective method for treating municipal wastewater in a clean setup. High mixed liquor suspended solids (MLSS) streams, up to 15,000 mg/l. Municipal/ low industrial polluted wastewater treatment plants. Airlift™ MBR systems are available as standardized, modular skids. The modules are placed vertically resulting in a reliable and compact installation.